Let The Professionals At Roofworx Help With Your New Commercial Roof Installation! Whether you are getting a metal or new flat roof installed, a proper roof installation is vital to maintaining the structure, membrane, and overall appearance of your commercial property. Without a proper roof installation, a building can only withstand natural elements and physical damage over time for so long. Is your business looking to relocate? 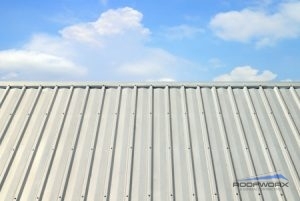 Are you about to remodel your commercial property and need a quality, long-lasting, durable roof? Our licensed roofing professionals work with you from start to finish. Contact us today 817-920-5974 to find out more about our roof installations in Fort Worth and Dallas, TX. When you trust the roofing experts at Roofworx & General Contracting for your new commercial roofing services, you’ll receive the highest quality in your new installation, whether you are moving to a new building or looking to upgrade your current space to accommodate. 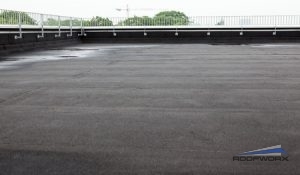 Are you relocating to a new building and that roof is in need of professional roofing services as soon as possible? Call us today 817-920-5974 to put your business property ahead with a roof installation in Fort Worth and Dallas, TX.